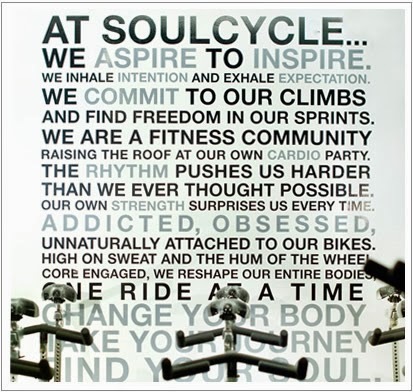 Jodi Bean's Blog: Soul Cycle: Do You Spin? 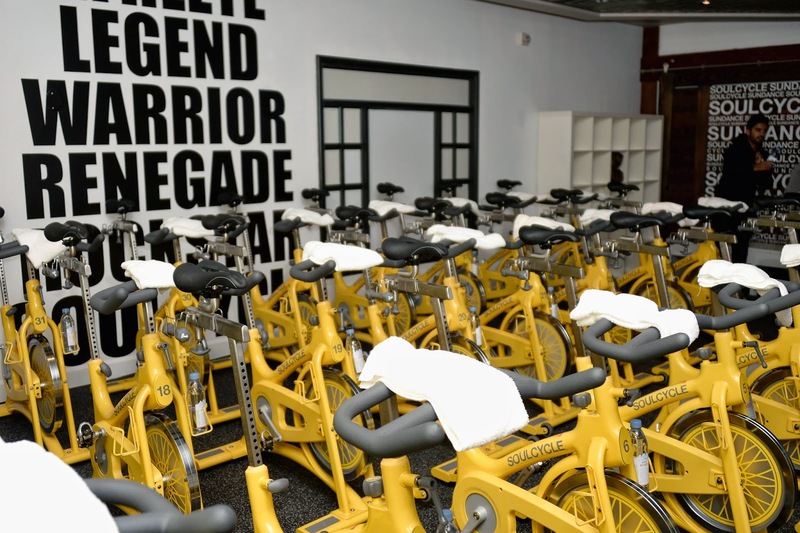 I recently had the opportunity to try out a class at Soul Cycle with Kate. The Chestnut Hill location was generous enough to let us come in and try out a class for free. Typically your first ride is $20 and after that it is $30 for a single class. But if you buy a package the price of each class decreases so you can grab a better deal if you are going to spin regularly. You also rent your shoes for $3 to clip in (or you can bring your own). When I arrived at the studio I was quickly helped out by one of the staff members. I had to fill out a waiver since it was my first visit and then found my name on the sign-in sheet to see my bike assignment (typically you can sign up online and choose your bike). There are free lockers so I locked up my keys and phone then filled my water bottle. When you enter the actual studio you find your bike and there are staff members available to help you set up your bike (seat height, handle bar height, etc). There are 2 hand weights at your bike and you need to check the weight and change them out up front if you want (we had 2 pound weights and changed them to 1 pounds weights since it was our first time). They also have seat cushions and I didn't get one but I should have - my bum was sore for days! Once your bike is adjusted and you have your supplies (towel, weights, water, etc) you are ready to go! Justin taught our class and he was excellent. I was a little nervous that it was a male instructor because I didn't know if I'd be able to keep up. I wasn't but Justin was so encouraging that I didn't feel bad about keeping to my own pace. He played great music and talked just enough while we worked. He is tough don't get me wrong but you can still adjust your bike to work at your level and since it was my first class clearly I'm at a lower level than more experienced riders. It was a great workout and I was hurting early on in the class which led to me sitting while the majority of the class stood (when instructed to do so). My only complaint about the class/studio is that it was VERY hot. It was a warm day out and you could tell in the actual studio - there were fans in there but they were not on. Now I'm not sure if the studio is suppose to be hot (maybe like hot yoga?) but for this girl with MS heat and working out are not a good combo. I was hot from the start and feeling a bit dizzy and tingly throughout the class. Not sure if others in the class felt it was hot but I did. I would have preferred the studio to be much cooler. Other than that it was a great experience. The class was challenging and fun. The time flew by and I feel like I got a great workout. I would love to do classes at Soul Cycle on a regular basis but the location and price will prevent that from happening. I hope to go to a class here and there on weekends when I have more time. 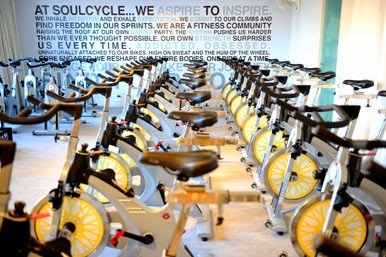 Have you tried a spin class at Soul Cycle? What did you think? *Photos provided by Soul Cycle. I have not gotten into spin but I do have a road bike and a mountain bike. Would be fun to give it a try though my gym has free spin classes. I keep hearing about people doing this and have yet to try it. I'll have to see where they offer it on the South Shore. I would not be pleased with a very warm room. I heard Tom Brady & Giselle were at the Chesnut Hill location a few weeks ago - that's reason enough to keep going! ha! ^ Yep, that is a reason to keep going. Although, if I were working out next to Gisele, I may have to "accidentally" push her off her bike. I've always wanted to try spinning, but I know I'd never be able to keep up, and wonder if the intensity would just be too much for that broken ticker of mine. Go girl for trying it! Spinning looks so hard! I've yet to try it because I have breathing problems and don't think that's a good mix. 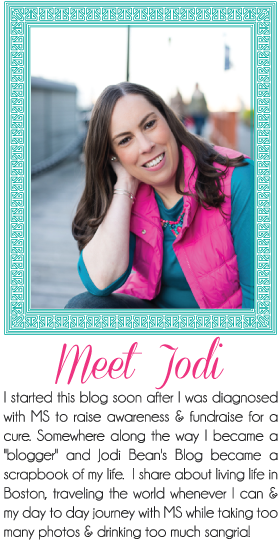 Good for you for checking it out! I've never done a spin class, but honestly it doesn't sound like my thing. And with the exception of hot yoga, I hate working out in a warm space. I get hot and sweaty enough on my own that I don't need the room to heat me up even more.